Data analytics firm BRIDGEi2i Analytics Solutions Pvt. Ltd has raised an undisclosed amount in Series A funding from Edelweiss Private Equity, the private equity and venture capital arm of Edelweiss Financial Services. Edelweiss has picked up a minority stake in the firm as part of the transaction. 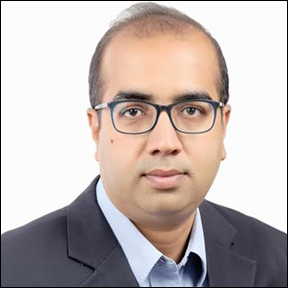 Pranav Parikh, head of Edelweiss Private Equity, will join the board of directors of BRIDGEi2i. Pritam Paul, co-founder and chief technology officer of BRIDGEi2i, told Techcircle.in that the funds will be deployed for product development, intellectual property rights (IPR) development, scaling up geographically and augmenting its technology backbone. "Big data and analytics is becoming a critically important driver for business success across sectors globally. What is unique about BRIDGEi2i is its differentiated offering that blends analytics expertise with technology and a proven leadership team,” said Parikh. Edelweiss is a diversified financial services company providing a broad range of financial products and services to corporations, institutions and individuals. Its businesses are broadly divided into credit business, retail credit, non-credit business and life insurance. It has 237 offices, including nine international offices, in 122 cities. Founded in 2011 by Indian Statistical Institute (ISI) alumni Prithvijit Roy, Pritam Kanti Paul and Ashish Kumar, BRIDGEi2i offers analytics solutions across verticals including marketing, sales, pricing and risk management, consumer, supply chain, operations and predictive maintenance. The startup helps enterprises realise sustainable business efficiency through data driven insights, leveraging algorithms and technology. “This investment will fuel our ability to deliver greater value to customers by enabling us to accelerate the development of our machine learning based business applications along with significant expansion of our consulting teams across India and the US,” Prithvijit Roy, CEO, BRIDGEi2i said in a statement. The company gets 70-80% of its revenue from the US and hopes to add 30 new clients soon, with whom it has initiated initial levels of engagements. Currently it has more than 40 clients. According to Paul, most of its clients are companies in the space of enterprise technology, insurance, retail and consumer internet. While the company claims to have Fortune 100 companies across technology, manufacturing, financial services, insurance and retail among its clients, it refused to divulge the identity of any of its clients citing non-disclosure agreements. The data analytics space has been witnessing a lot of action in recent times. Earlier this month, e-commerce marketplace Snapdeal acquired Insightful Labs Inc, which operates data analytics provider Targeting Mantra for an undisclosed amount as part of efforts to improve personalised shopping experience for customers. In March, Mumbai-based vPhrase Analytics Solutions Pvt. Ltd raised an undisclosed amount in seed funding led by angel investors Apoorv Ranjan Sharma and Daud Ali from investment platform Venture Catalysts. In the same month, analytics startup IQLECT, founded by former Jabong India CTO Sachin Sinha received an undisclosed amount in funding from US investors including the founders of VC firms Walden International and Riverwood Capital.